There is a belief that we are all spiritual beings having a human experience that is unfolding perfectly from a cosmic perspective - with no accidents, coincidences, or mistakes, blah, blah, blah. Well I am sure that the person who came up with that initial concept must have lived a very ordered life or was a high ranking ascended master in the "know", because my life has been anything but perfect over the past 12 months, and I would certainly hope that this calamitous episode was through my own mismanagement rather than from any grand cosmic intervention. After all we do have free choice and will and at some stage our stupidity must neutralise a portion of the cosmic stratagem coming our way. Actually the thought of a higher being preplanning the events that would add to my pain and unhappiness borders on unmitigated evil. I am retracting that statement as I look to the skies for free falling thunderbolts. Ok I concede that destiny plays a part in getting us from A to B but sometimes the process is delayed because we have a tendency to deviate from the plan or occasionally have a stopover. Anyway my recent stopover, the hiatus I had to have, gave me a moment of clear vision to get me back on track. You see I have some major goals I want to achieve in this life and yes they may be ambitious but if I don't aim for the stars and give it my best shot then I am going to get stuck in a permanent hiatus. This is my journey and if I want it to be a productive and an enlightened experience then I have to take personal responsibility for my own transformation. My Spirituality therefore is a word that describes my own relationship with my self and I can harness the power of positive thinking and the creative energy of my own thoughts to manifest whatever I desire. There are no limits. Ostara is a time to celebrate the arrival of Spring, the renewal and rebirth of Nature herself, and the coming lushness of Summer. Ostara is a sabbat of light, of child-like fun and humour, of celebrating and growing. It is at this time when light and darkness are in balance, yet the light is growing stronger by the day. At Ostara we think of renewing ourselves. We renew our thoughts, our dreams, and our aspirations. We think of renewing our relationships. This is an excellent time of year to start a new path or begin anything new, or to completely revitalize something. At the Spring Equinox the Sun entered Libra which is the midpoint of the Zodiac, the scale of balance, just as the Equinox is also the balance or the midpoint between light and dark. 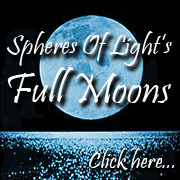 Within hours of the Equinox the Moon reached it's fullness in Aries. The Moon in Aries signifies a time for cleansing and personal development, starting new things and new beginnings. We're motivated by a strong desire to start fresh. A gut instinct to start something new is with us now, as well as the gumption to do so. On the night of the Ostara/Equinox/Full Moon celebrations we cast the circle by the Power of the Dragons, then called in the Spirits of Air, Fire, Water and Earth before welcoming the Spring Maiden - Ostara - and The Green Man to be with us and complete the circle. Starting in the East, The Spring Maiden carried a basket of egg candles sunwise around the circle and each person took one. 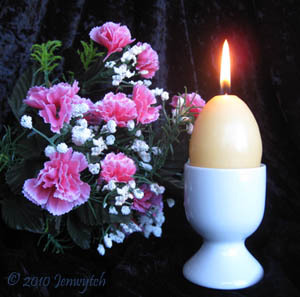 These egg candles were held during the meditation, which took us on journey to a hilly countryside, just before dawn at the beginning of Springtime when the land is nearing the end of its Wintertime slumber. There we met the Goddess Ostara carrying a golden basket filled with coloured eggs. Beside her was her companion, a frisky magical rabbit. 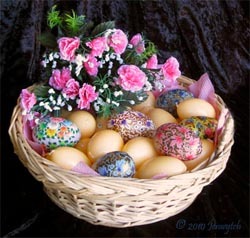 We were welcomed by Ostara and her rabbit companion and invited to select one of the coloured eggs as a gift of Spring. We focused on the colour and what it meant to each of us, then waited for the Sacred Egg to give us a message about personal growth, quietly paying attention to whatever words, symbols, sensations, impressions, or other forms of message emerged. We then took a few moments to inscribe on our egg candles any symbols or words, that represented our experiences or guidance we received for personal growth. All the inscribed candles were put into little organza bags individually labelled by each person, and then placed on the altar as we cast our spell and danced and chanted in a circle to raise energy to charge the egg candles. They were to be lit at home later to release the energies out into the universe to come back as manifest reality, letting the vitality of Spring renewal continue to be with each person as they went about their daily life. We thanked our hosts, Ostara and the Green Man, for their presence and guidance. The circle was closed and the residual energy was then grounded back into the earth and forwarded to individuals for healing. We all finished the evening with our usual feast. More information regarding this circle and past circles can be found in our Book Of Shadows. 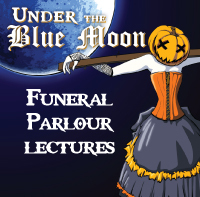 Our next Full Moon Circle will be held near Engadine on Friday October 22. Please contact us for further details if you would like to attend. 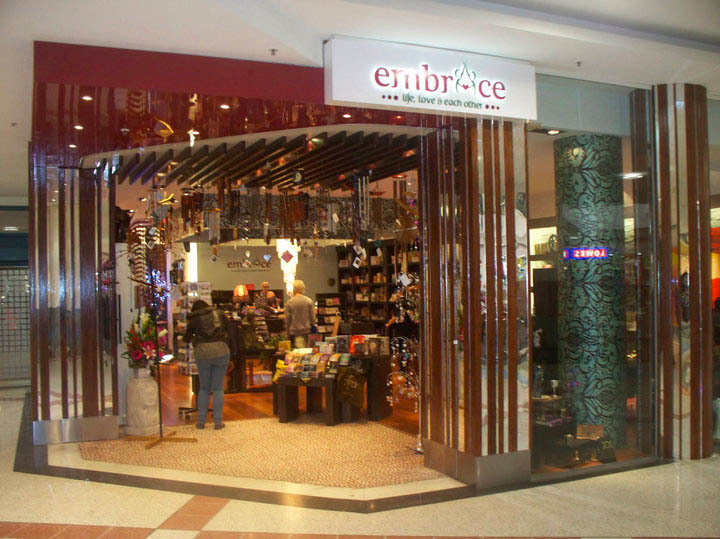 Spell Casting Workshop at "Embrace"
A two hour workshop to explore the workings of spells and magick, facilitated by Janine Donnellan of Spheres Of Light, was held at "Embrace", a new shop in Miranda Westfield on Sunday 10th October. Participants were taught the basic techniques for casting a spell, and took part in a hands-on session where they were guided to perform a spell on their own. 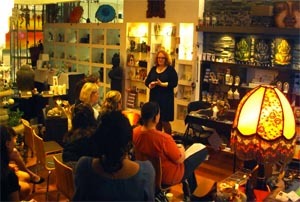 By popular demand, this workshop will run again at Embrace on November 14, 2010. Beltane - Also known as Bealtaine, Walpurgisnacht, May Day, (Northern Hemisphere) & Novey Eve (in Southern Hemisphere). Beltane marks the Initiation of Summer and is the celebration of union and creativity. The Earth has long awoken from slumber and now bursts with life. 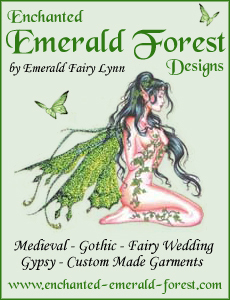 The garden and trees are blooming and it is a time when the Spirits of Nature and the Faeries are the most active. 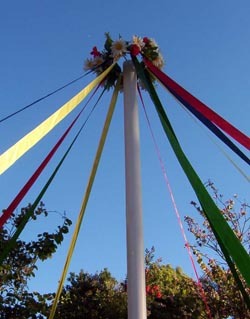 May poles are erected, decorated with ribbons and wreaths of spring flowers are made and worn while spirals are danced within sacred circles. Beltane is also the festival of the Great Rite - of sexual union between the Goddess and the God. Some form of this Great Rite is enacted on this sabbat in nearly every modern pagan circle. The rite is performed symbolically by a male and female who place a knife (a phallic symbol) into a chalice (a female or yonic symbol). Pagan couples often choose Beltane for their handfasting, and it is a time of unrestrained joy & creativity. Handfasting is related to an old Celtic ceremony, in which the couple's hands were ritualistically tied together, hence the phrase "tying the knot". The ceremony traditionally symbolised the beginning of a trial marriage - typically lasting a year and a day. The actual date of Beltane this year for the Southern Hemisphere is 7th November. 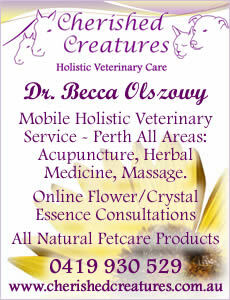 This coincides with Australia's famous horse race, the Melbourne Cup, which is run on the first Tuesday in November and taken as an unofficial holiday across Australia. 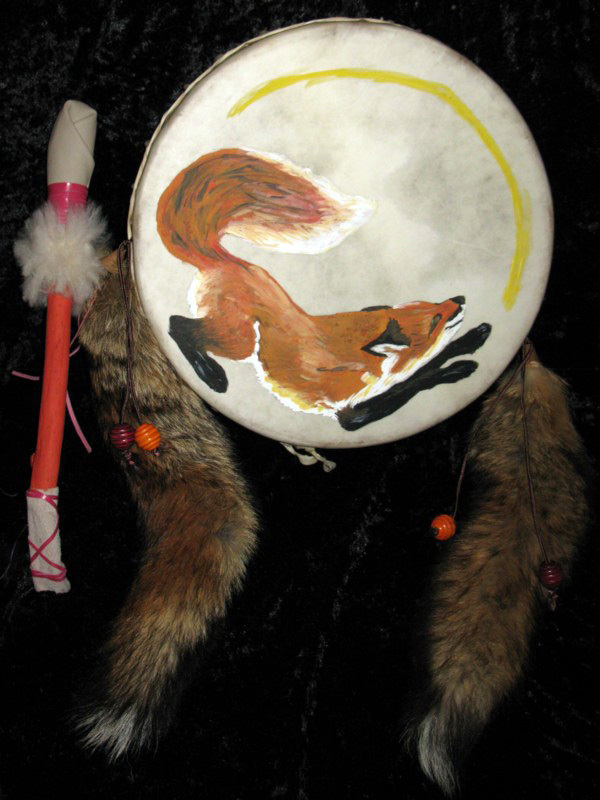 The drum is one of the main tools of the Shaman; the drum enables the Shaman to go on spiritual journeys through the ebb and flow of sounds and vibrations. The drum is not just a musical instrument; it is the symbol of the universe and encompasses the spirit and the strength of the Shaman. The creation of a Shaman's drum involves a certain amount of craftsmanship and it is believed that the newly created drum has no initial powers until an initiation or animation has been conducted. Once the animation ritual has taken place the drum then becomes alive and the Shaman can then develop a close personal relationship with the spirit of the drum. Drumming can create a wonderful sense of connectedness with self and others. The drum's rhythmic patterns can induce altered states consciousness, which can have a wide range of therapeutic applications. It has been reported that even a brief drumming session can dramatically reduce stress levels. The brain changes move from Beta waves (focused concentration and activity) to Alpha waves (calm and relaxed), and produces a feeling of ecstasy. As the shaman strikes the drum the human mind focuses on the repetitive and monotonous patterns which causes the internal chatter of the mind to quieten, eventually, silence is complete, which allows us to hear what the spirit of the drum is saying and we are then able to communicate with our guides in the sacred language of spirit. Last year I wrote my blog article -- My Medicine Drum: A Personal Journey -- which showed how I made and decorated a frame drum at SOL's Drum Making Weekend in July 2009. Although I did show photos of the four versions of the drum beater I made to go with the drum I never actually showed any step by step instructions on how to make the beater. Recently a friend asked me to make a beater for him to go with a frame drum that he had purchased to use at our circle gatherings for shamanic drumming. The bodhran he bought came with the standard double ended "tipper" that is used with bodhrans or Irish frame drums, but they do not produce the same sound as the padded, leather covered beaters usually used for shamanic drumming. So I took the opportunity to photograph some of the stages during the making of the drum beater. I am lucky to have natural bushland across the road from my house so I wandered into the bush to find a suitable stick to use for the drum beater. The one I chose was actually the main trunk of what was once an Angophora costata or Sydney Red Gum sapling, which didn't survive the controlled hazard reduction burn set by the Rural Fire Service in the bush around my street some months ago. The photos above show a detail of the branch chosen, after the bark had been stripped off. A suitable portion of the stick was cut and sanded. Craft glue was applied to a short length of Dacron wadding which was then wrapped around one end of the stick and held in place until the glue dried enough so it wouldn't unravel. 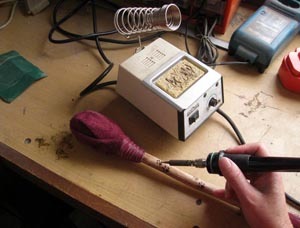 As I found out from my first attempt at making a drum beater back in July 2009, not very much wadding is needed. If too much wadding is used the sound produced by the beater on the drum is more like the toneless thwack of hitting a cardboard box, so in this case less is more, in that you get more sound out of the drum if you use less wadding -- just enough to cushion the blow from the stick so it doesn't split the drum head. The next step is to stretch a piece of leather over the wadding, pulling it as tightly as possible and tying it off around the bottom of the wadding with strong twine or leather lacing if you have some. This may take a couple of attempts until you are happy with the result, as you will gradually work out the best way to either fold or gather the leather around the stick to give the desired appearance. The only leather I had available was a small piece of purple/maroon leather left over from another project from several years ago, and I hoped that colour would be appropriate. From previous experience I've found that using the inside surface of the leather rather than the polished side gives a better sound for a drum beater as it muffles the "slapping" sound that can often be heard if the shiny side is used to hit the drum. If you don't have any leather you could probably use a piece of thick cloth instead or even a square of felt from a craft shop. I also cut a small piece of leather to wrap around the handle of the beater, to make the beater more comfortable to use for prolonged drumming sessions -- "suede" leather just feels nicer to hold than plain timber. I didn't have any leather lacing so I made some by cutting a piece of leather around in concentric circles to produce a very long narrow strip. The fact that the lacing made this way is slightly curved doesn't matter because it is pulled so tightly when wrapped around the beater head that the curve is stretched out to become straight. I used the lacing with the shiny side out to give a nice contrast. I also wrapped some lacing around each end of the handle to make sure the hand grip (which had been glued) didn't come undone. Again, if you don't have access to any leather you could use narrow ribbon to bind the beater head and the handle. You could even use several different colours together to create a different look. And of course you could always use a piece of dowel for the beater in preference to a branch or stick from the bush. I thought the beater needed some more decoration but I wasn't sure yet exactly how to do this. A couple of days later I eventually decided to decorate it with a series of tiny paw prints spiraling up the handle, inspiration coming after I'd looked at a photo of my friend's dogs who are a very important part of his life. Instead of painting the paw prints on I used a soldering iron to burn them into the wood, then coated the exposed timber of the beater handle with clear acrylic lacquer. Before applying the clear lacquer I masked the leather-bound ends of the drum beater with freezer bags and masking tape. This was necessary because I was using a spray can of lacquer but even if you were to apply paint or varnish with a brush I would still advise masking the leather ends of the beater first to make sure they stay clean. After the clear lacquer was dry the bags and tape were removed to reveal the shiny new drum beater, as shown below. When I presented my gift a couple of weeks later my friend was very happy with both the appearance and the feel of the beater. I was surprised but also very pleased when I realised the design painted on his drum was in purple and maroon (which I had never noticed before) and the drum beater I had created was a perfect match. He told me that purple/maroon was his favourite colour and also that spirit had guided him to ask me to make his drum beater and that I would 'know' what he needed. If you decide to make your own drum beater its appearance is really only limited by your imagination. You might not realise how creative you can be until you give it a try -- the possibilities are endless! The wait is over. It took approximately 9 months, maybe longer, to finish this project and even longer to tell you all about it. I had recently joined a lapidary club and was so excited. Now I could make my own jewellery using stones (crystals). My excitement led me to make a promise of a gift to a young man I work with, utilizing both stone and silver. The gift was to cast a sword in silver and add a stone to it. Finding an appropriate wax mould was difficult. Most of the wax moulds looked more like axes, and weren't suitable. 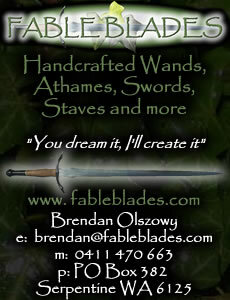 In the end I chose to create the sword from a piece of sterling silver sheeting. I finally found a design that I felt was appropriate. 'Google Images' is a great source for sword designs. Now for the task of actually cutting it out; well, that required me to seek out and enrol in a Silver Course. The sword was my major project in class. It was cut, filed, polished etc but not quite finished. It needed a crystal in the middle. Picking a crystal took the longest. Ideas for stones were put forward by others, red, black, green etc. It was resolved that a blue one was the way to go, but what stone? That final decision was left up to me. I picked Lapis Lazuli. When I make a gift, or buy one for that matter, I take some time and thought. We are unique, so to me a gift is representative of that person's personality. Lapis Lazuli the name comes from Arabic and Latin and means blue stone. There are so many variations as to how it got is name. It is composed of several minerals therefore crystal structure will differ. Lapis lazuli is sensitive to strong pressure and high temperatures, hot baths, acids and alkalies, and is best to remove lapis lazuli jewellery to avoid contact with such. Its colours are lazur blue, violet, greenish-blue. Properties: Lapis Lazuli was often made into amulets and talismans. A protective stone shielding you against psychic attack and returning the energy back to its source. It brings forth ancient knowledge and wisdom. 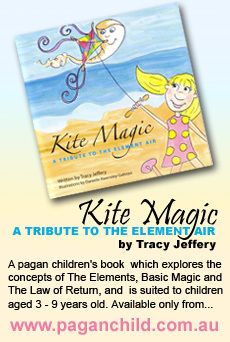 It is helps you to connect to your Higher Self and Spirit Guides. It increases your vibrational level promoting harmony and balance. It is known to increase psychic abilities. It awakens your intuition and awareness to matters that may be hidden by stimulating the higher senses of the mind, bringing objectivity and clarity. 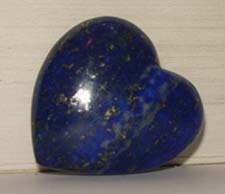 Lapis lazuli inspires positive thinking and can help lift mild depression and bad moods. It is also a stone for self-confidence and self-expression encouraging those who find if difficult to speak out. The stone of friendship and truth said to encourage harmony in relationships and strengthens the bond. 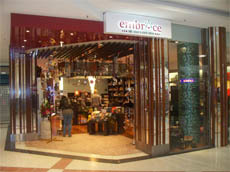 It helps its wearer to be authentic and give his or her opinion openly. Some believed that dreaming of lapis would foretell love that would be forever faithful. Lapis lazuli has long been associated with the eyes, since the Ancient Egyptians used it for eye shadow and for making the sacred Eye of Horus symbols. An Ancient Greek cure for eye problems was to place a piece of lapis lazuli in a bowl of warm water, leaving it under the night sky for a few minutes. The water was then used to bathe the afflicted eye. 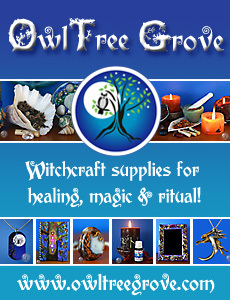 It makes quite a powerful elixir to align the etheric, emotional and spiritual bodies. 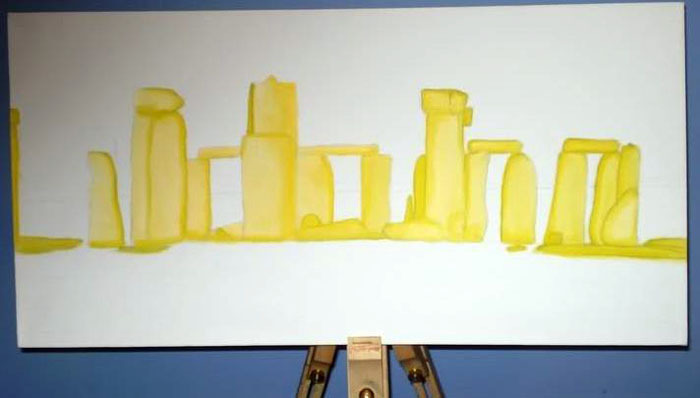 Rayvensclaw has been asked to write a regular article on the magick of his paintings or you could call it how they speak to him; but I thought I would do an article on the evolution of one of his paintings from an non-artistic sense. I'm not saying that I'm not artistic, just not with paint or pencil. I have watched Rayvensclaw paint many times over the years, watching as his paintings change and grow; but I have never had the urge to document a paintings progression before this one, or since. Yet to watch a painting evolve from a blank canvas to the finished product is in itself a magickal experience. Flower meanings have been used to convey ideas, feelings and messages for centuries. The language of flowers, sometimes called floriography, was a means of communication in which various flowers and floral arrangements were used to send coded messages, allowing individuals to express feelings which otherwise could not be spoken. The nuances of the language of flowers are now mostly forgotten, but red roses still imply passionate, romantic love. Other commonly known meanings are sunflowers, which can indicate either haughtiness or respect. Daisy means innocence or purity. The iris, being named for the messenger of the gods in Greek mythology, still represents the sending of a message. A pansy signifies thought, a daffodil regard, and a strand of ivy fidelity. Red - passion, romantic love. Purple - higher spiritual insights. Yellow - joy and friendship. Pink - love, healing, gratitude and appreciation. Peach - sympathy or gratitude. White - purity, reverence and humility. The aroma of flowers can also affect individuals on a variety of subconscious emotional levels. When you take into consideration the various energetic levels of flowers they can become much more than a decoration on an altar, as the different layers of vibrations can add value and power to our ritual and spell work. 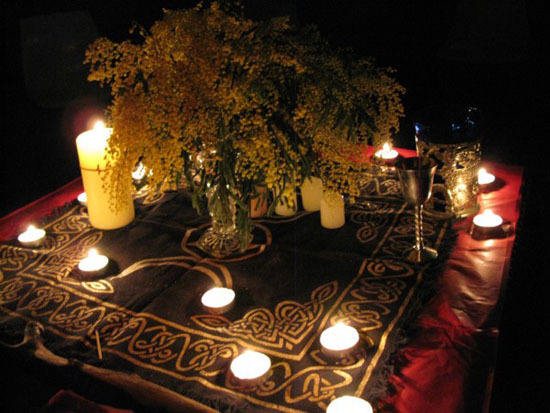 Imbolc Altar with Wattle flowers to represent the return of the light. The language of Flowers is a silent language that has been largely lost to us through lack of use however, with the introduction of flower essence therapy and a renewed interest in the traditional and spiritual aspects of flowers, the meaning of flowers has gained a new fascination and respect. I love orchids, they are the most perfect and delicate flower and make beautiful floral arrangements for the altar. The orchid is a flower of magnificence that brings a universal message of love, beauty, wisdom, and thoughtfulness. I have a few different varieties growing now in my back yard and I have a few native orchids growing on the rock wall directly behind my house. One of the varieties that are in flower at the moment is the Rock Lily Orchid. Rock Lily Orchid (Dendrobium speciosum), Dendrobium...from the Greek Dendron, a tree, and bios, life, referring to the growth habit of many, but not all, species. Speciosum, from Latin speciosus, showy or beautiful, referring to the flowering habit of the species. This beautiful plant has sprays of small, white or creamy-yellow flowers, thick, leathery leaves and swollen, bulbous roots (called pseudobulbs). 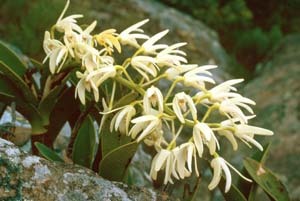 This orchid usually grows on rocks in the open forest, particularly on sandstone. Occasionally it also grows on the branches of rainforest trees. In New South Wales it is found chiefly in coastal districts south from the Newcastle area into Victoria and inland to the upper Hunter Valley. The Rock Lily Orchid is one the plants used by aboriginal people for food. The aboriginal tribe, the Cadigal people calls the Rock Lily Orchid Wara-gal-darra and they would eat the starchy stems of this orchid either raw or after roasting them over hot coals. 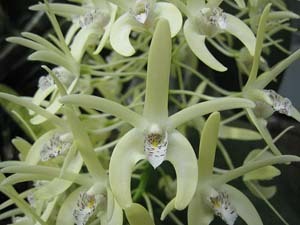 It is interesting to note that the stems from a variety of Dendrobium can also be rubbed into sores, burns and wounds. The Rock Lily Orchid essence is for clearing, balancing & aligning the physical chakras. 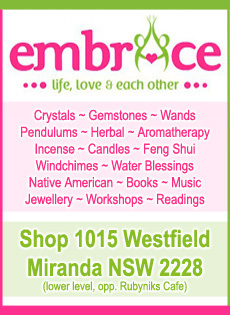 This essence is produced by Solara Antara at Tighes Hill, NSW, please refer to www.flowersforhealing.com/Rock-Lily-Orchid.html for further information on this essence. 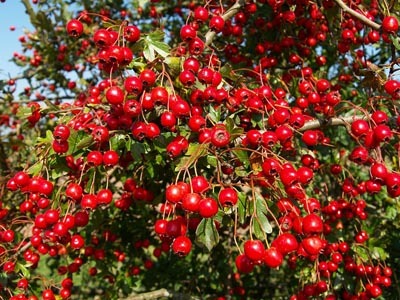 When I started to think about what herbe I was going to be doing for Axis Mundi this month I kept hearing the name hawthorn. On checking the Beltane correspondences, I found that yes it is a suitable herbe, and a very powerful one at that. I've been asked at various times during my astrological journey and studies in regards to this rather fascinating and complex subject. Knowing and understanding how each of the planets make an aspect to each other is one of the most basic fundamental concepts an astrologer must be able to utilise when delineating a chart. And yet, it can be a rather daunting task to undertake, even for the most seasoned astrologer. When a layperson asks "What's an aspect?" the question can throw you. You want to explain it in as simple a term as possible, but you inadvertently fall into a jargon that you're used to applying when you're around other astrologers. In other words, without the time to convey it properly in a language that the average person can understand, you would only confuse that person more than to begin with! I don't want to throw the reader off with this opening remark, however. Because when you think about it, it's a simple process of applying some basic mathematical equations. It really is, and this is coming from someone whose mathematical skills never went beyond the necessary basics when I learned at school - more than 30 years ago now. Hi there, Little Purple is back. He's finished his time of mourning, and now it's back to the business of telling his story. So let's be on with it then! Many eyes did watch and follow Little Purple about. It seemed that no change was still the order of the day. 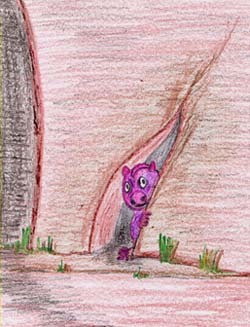 But unbeknownst to them Little Purple was giving himself a talking to. And what's a little dragon to do! That Little Purple had had such a terrible fright. And resolved that no matter what! He was going to go out of this dragon cave so large. Little Purple walked closer and closer to that opening so huge. But not once did he fly. To that outside world so huge. And no one else about. That he must fly again. And got a counsel large. To hold his harness in that big wide world so large. So what was he going to do! Which quite blew Little Purple about. On his first day out. 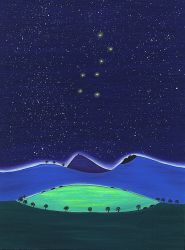 The Star Tarot card holds that same hope and promise when you look up at the stars in the night sky and make a wish. The Star reminds you that guidance can be found from within as well as through contact with the universal mind. In a tarot reading, the Star encourages you to apply your self as you will reap the rewards. The Star reminds you that you are seeker on a journey of discovery, when you keep your mind open, you can rise above the darker side of your nature. The stars shinning above represent the parts of you that aspires to be better than you are and this journey represents the life force, a creative power directing you towards a better future. This is a special time in your life when you should trust your inner wisdom and intuition. You can now trust that the Universe will provide you with everything you need. Janine has had over 15 years experience as a paranormal researcher and her investigation team regularly assists individuals who are experiencing paranormal phenomena in their homes. SOuL Searchers has been recently featured in the Daily Telegraph and Mania Magazine. 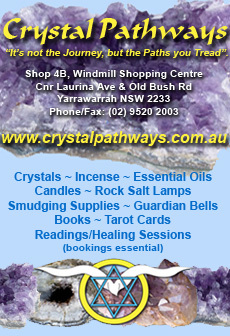 SOuL Searchers is a 'not for profit' organisation that is located in Sutherland Shire, Sydney Australia. 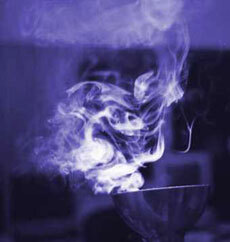 This is a 2 hour workshop to explore the workings of spells and magick. You will be taught the basic techniques for casting a spell, plus you will have an opportunity to participate in a hands-on session where you will be guided to perform a spell on your own. In a medium bowl, stir together the flour, baking soda and salt. In a large bowl, combine the buttermilk, butter and egg yolks. 2. In another medium bowl, beat the egg whites until stiff peaks form. Add the dry ingredients to the buttermilk mixture and stir just until combined. Using a rubber spatula, gently fold the beaten egg whites into the batter just until combined. Heat a lightly buttered griddle or cast-iron skillet. For each pancake, gently spread 1/4 cup of the batter on the hot surface to form a 4-inch circle. Cook over moderately low heat until the top is set, about 2 minutes. Flip the pancakes and continue cooking until golden, about 1 minute longer. Transfer to a large plate and keep warm while you cook the remaining pancakes. 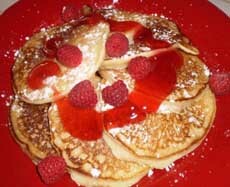 Divide the pancakes among plates, garnish with fresh raspberries and serve with Beltane Raspberry Syrup. Place the raspberries in the bowl of a food processor and process until smooth. Place the water and sugar in a medium saucepan and stir over low heat, without boiling, until the sugar dissolves. Add the orange rind, increase heat to high and bring to the boil. Reduce heat to medium-low and simmer, uncovered, for 2 minutes. Remove from the heat and set aside for 2 minutes to cool slightly. Remove the orange rind and discard. Stir the raspberry puree into the syrup. Strain the mixture through a clean sieve into a clean bottle and discard the seeds. Keep in a sealed bottle in the fridge for up to 4 days. Frozen raspberries are also suitable for this recipe. If using, thaw completely and use all the juices. For an "adult" alternative, add 2 tbs (or to taste) of Cointreau, Kirsch or raspberry liqueur to the syrup. Serving suggestions: add a dash of chilled raspberry syrup to soda or mineral water for a refreshing summer drink. Serve warm or at room temperature spooned over ice-cream, with meringues and cream, or with poached peaches.